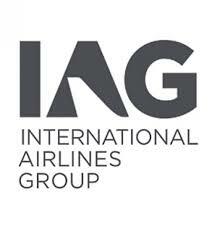 IAG is still interested in acquiring Norwegian but will sell its shares if no deal can be agreed. IAG bought a 4.6 per cent stake in Norwegian this year to initiate takeover talks. Walsh was speaking as IAG reported a doubling in pre-tax profits to €1.7 billion for the first half of this year. It missed expectations for the second quarter, partly due to French air traffic control strikes had disrupted flights. The Independent noted that IAG has joined forces with other carriers to complain about the strikes to the EU. Willie Walsh said: “Unfortunately, French air traffic control strikes continued to challenge our airlines’ operations, causing disruption to our customers.” Shares closed down 2.2 per cent, at 668.8p. IAG has reported strong pre-tax profit growth in its first-half results, up almost a quarter to €1bn. However, the owner of British Airways missed analysts’ consensus for its second-quarter operating profit before exceptional items, coming in at €835m, up 5.7 per cent on last year. Consensus was €848m. Chief Executive Willie Walsh blamed strikes for disrupting flights and dragging down profit: “Unfortunately, French air traffic control strikes continued to challenge our airlines’ operations, causing disruption to our customers. Vueling was particularly affected and incurred an additional €20m of disruption costs in the quarter.” The article notes that IAG has filed a legal complaint to the European Commission, alongside rivals easyJet and Ryanair, saying the strikes breach the EU’s fundamental freedom of movement.